It’s the season of theistic evolution, and not only with the publication of the massive Theistic Evolution critique featuring a range of contributors. Another new book presents competing views on intelligent design, theistic evolution, and young earth creationism. Contributors Ken Ham, Hugh Ross, Deborah Haarsma, and Stephen Meyer have the opportunity to debate in print, with further opportunities for responses and rejoinders. Four Views on Creation, Evolution, and Intelligent Design is out now, and like the other book, was on World Magazine’s list of top books on origins for 2017. Dr. Haarsma, president of BioLogos, and our colleague Stephen Meyer were also afforded the chance to debate on live radio over the weekend, for a full hour. I’ve just listened to that, and you can too by going here. 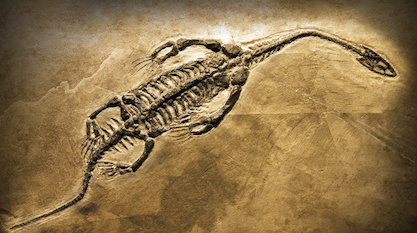 Their official topic was “Are Evolution and Christianity Compatible?” but the real question addressed by Meyer is whether evolution and science are compatible. What shall I say? The encounter is substantive and interesting. I would not want to be saddled with the responsibility of defending the theistic evolutionary perspective in a debate with Dr. Meyer. Hosted by Julie Roys for Moody Radio, Haarsma does, I think, a creditable job in what is probably an impossible task. She has a difficult time trying to persuade Ms. Roys or the callers to the show. You can tell that from the host’s voice, and at the end, Roys simply opens up and frankly says she doesn’t see much difference between theistic and “deistic” evolution. Dr. Haarsma’s main point is that a near consensus of scientists affirm evolution — which is an ambiguous term, of course — and so, therefore, should her fellow Christians. With all respect, I don’t think she really begins to come to terms with Meyer’s presentation of the profound scientific problems facing evolutionary orthodox or his sketch of how that orthodoxy is coming under fire — not from ID proponents but from mainstream scientists. I like Steve Meyer’s formulation that the purpose of a book like Theistic Evolution is to “liberate” thoughtful adults — laypeople, theologians, pastors, anyone — from the feeling that they’re obliged to submit to Darwinian evolution as the only intellectually responsible heuristic for thinking about God and creation. You’ve heard of liberation theology. Perhaps it’s fair to call ID liberation science. I watch this controversy among Christians from the sidelines, but am intensely curious how it seems to them. We all have our preconceptions and preferences going into such a debate, not just the one between Stephen Meyer and Deborah Haarsma but the wider discussion about theism and evolutionism. If you have a moment, I encourage you to send me an email and let me know, as objectively as possible, how the competing arguments stack up in your eyes. Photo credit: vanleuven0, via Pixabay.